This security product and services business is a low cost operation, with staff in place to support this owner who chooses a client liaison role mainly. As, this would be one of the most diverse security/NBN/home theatre service package operations currently operating, being most appealing to major companies and corporate clients who choose to outsource to this veritable “one stop shop”. This business with its team, has focused for years on the products and services within the security (includes back to base, control room, passive income), NBN, and home entertainment sectors which provide the greatest financial reward for time invested. These niche segments also being in high demand, with the growth being even more than this current owner wishes to explore. 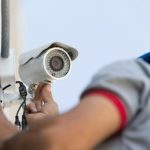 This owner knows just how easy it is for any new owner to enter the security industry and is also prepared to remain over the medium term to ensure a very smooth transition. Who wouldn’t want to earn this high wage and profit? Just wait until you see the return on investment of this highly referred operation. Yes, minimal to no marketing is done, an organically ranked website, with calls coming from the sign writing on the side of the vehicles, and online, coupled with the majority of all new clients being regularly referred, and they being pre-sold by the referrer. Ready for them to opt for add-ons to their initial package. Is this fishing in a barrel or what! This is certainly one “smart” operation, which can secure your financial future faster and with far less risk than most other businesses within this industry. Yes, this is a lucrative industry to become involved in. There will always be a demand for home owners and businesses to want to secure their person and possessions, including satisfying their desire to make the best use of what today’s modern technology has to offer – especially in the way of providing entertainment. This is a very diverse product and service provider, offering a long list of options for both residential and commercial/business clients. This business’s success rests upon simply choosing to enact and focus in on the segments which present the greatest profit return and margin. Why not earn more, for investing the same amount of time! The majority of this business’s sales are inbound, being generated by company’s who have chosen for years to making this provider their main, preferred supplier (outsourcing to – classifying this as a convenient, “one stop shop”). By having this business to refer their clients to, this arrangement continues to make money for them. A wonderful win-win situation. Having staff in place, who complete the majority of all product installations and service work, it leaves this owner’s week mainly free to liaise with clients, to convert the majority of new clients and respond to client job requests/quotes.